Just Arrived - Modern Lambrettas - Scooter Central | Your One-Stop Scooter Shop! They were out of production for almost 50 years but in 2017 Lambretta began to manufacture scooters again. They have just arrived on our doorstep so you can get a sneak peak. 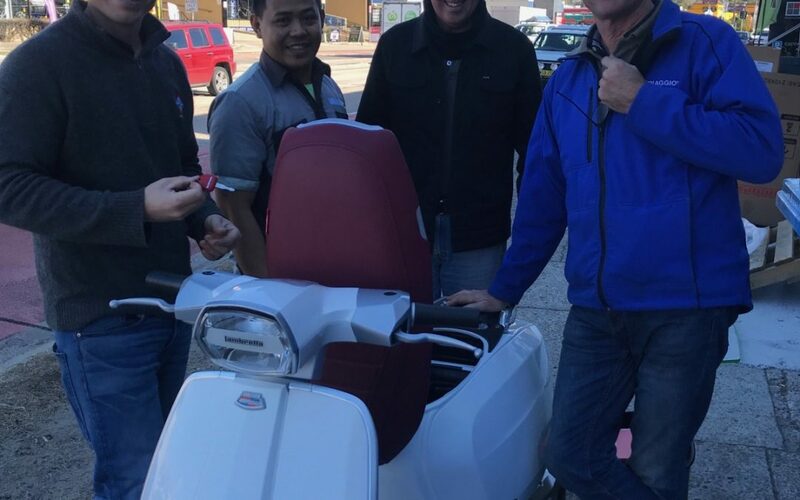 The gang is pretty excited as you can see and checking out all the features and branding on the new modern Lambretta. Keep any eye on the website for availability for sale or come to Scooter Central to get a look yourself prior to the launch and put a deposit down to be one of the first in Australia to own your own modern Lambretta. The Lambretta range will be available for sale sometime in August after they get the final approval for the bikes to be registered.